BROOKLYN, Iowa — A 20-year-old Iowa student found slain after vanishing last month while on a jog died of "multiple sharp force injuries," according to preliminary autopsy results. 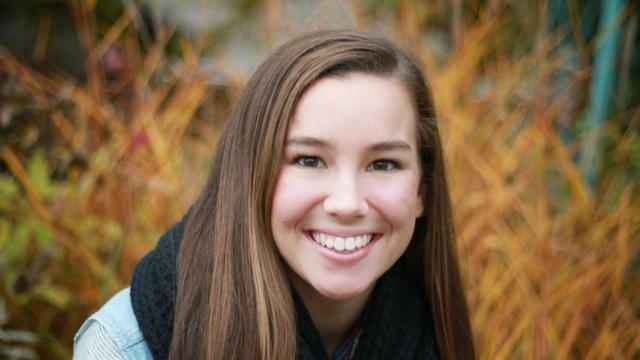 The Iowa State Medical Examiner, which conducted an autopsy on Mollie Tibbetts on Wednesday, concluded her manner of death was homicide. It said further examination could result in additional findings. The autopsy also officially confirms that the body found in a rural Iowa cornfield this week is Tibbetts. Other details from the autopsy are confidential under Iowa law, according to a press release from the Iowa Division Of Criminal Investigation. The agency did not release additional details about the injuries she suffered or what caused them. Investigators have made no mention of recovering a murder weapon. Cristhian Bahena Rivera, 24, is charged with first-degree murder in Tibbetts' death. State investigators said they questioned Rivera after his car was seen on surveillance video following Tibbetts on July 18, the day she vanished. An affidavit said Rivera on Tuesday led investigators to her body, covered in corn stalks. Tibbetts' disappearance set off a massive search involving state and federal authorities. Rivera, a Mexican national, had been living in the country illegally for four to seven years, investigators said. Rivera worked at a nearby dairy farm, owned by the family of local Republican leader Craig Lang. In a statement, the farm said Rivera passed a government screening that made him eligible to work. His employer, Yarrabee Farms manager Dane Lang, said the 24-year-old worked under a different name and presented an out-of-state government-issued photo identification and a matching Social Security card when he was hired in 2014. Within hours of her body being found, President Trump noted the arrest at a rally in West Virginia and said the death "should've never happened." Rivera was ordered held on $5 million cash bond Wednesday. If convicted, Rivera faces life in prison without parole. His attorney, Allan Richards, said Thursday that the public should give his client his day in court and not prejudge the case. He also said Rivera was in the country legally and had arrived in the U.S. as a minor. "Let's let the process go," he said. "The process is about truth-finding in a rational, peaceful and efficient manner. We're only at the very preliminary stages of this matter." In a statement released Wednesday, Tibbetts' family said, "Our hearts are broken." "On behalf of Mollie's entire family, we thank all of those from around the world who have sent their thoughts and prayers for our girl," the statement said. "We know that many of you will join us as we continue to carry Mollie in our hearts forever."